1500 weekends left in his life. I now realize that my 1499th weekend is coming. I plan to grade a stack of student papers. and leaving a green stain on the pavement. on this glorious, remaining 1499th Saturday. David Holper has done a little bit of everything: taxi driver, fisherman, dishwasher, bus driver, soldier, house painter, bike mechanic, bike courier, and teacher. Currently, he teaches English at College of the Redwoods. 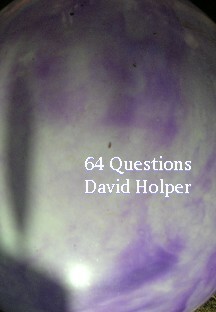 In spite of all that useful experience on his resume and a couple of degrees in English to boot, he has gone on to publish a number of stories and poems, including a poetry collection, 64 Questions (March Street Press). 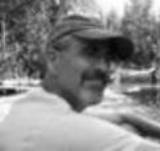 David lives in Eureka, California, which is far enough from the madness of civilization that he can get some writing done. Another thing that helps in this process is that his three children continually ask him to tell them stories, and he is learning the art of doing that well for them. I love this poem. How many weekends have I spent grading papers? Too many, and sadly, I don't suppose I shall ever get them back to bolster my diminishing number.